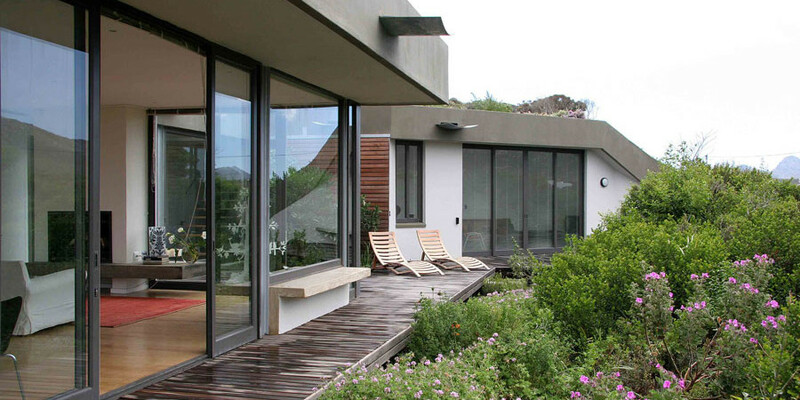 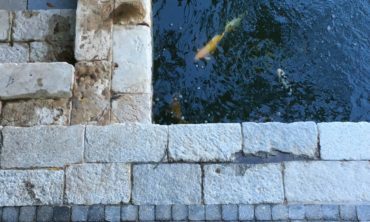 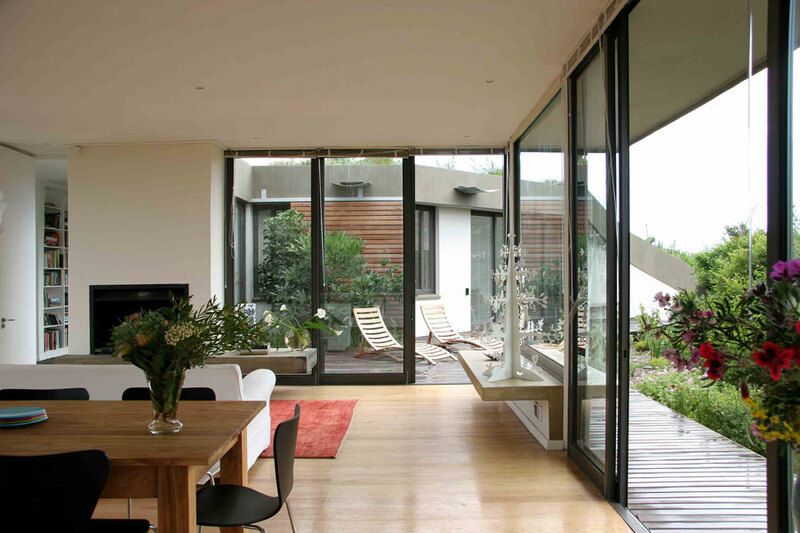 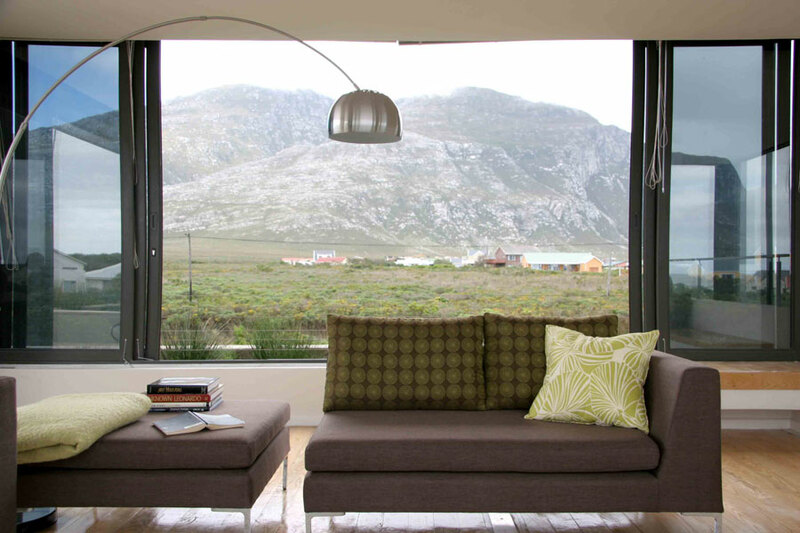 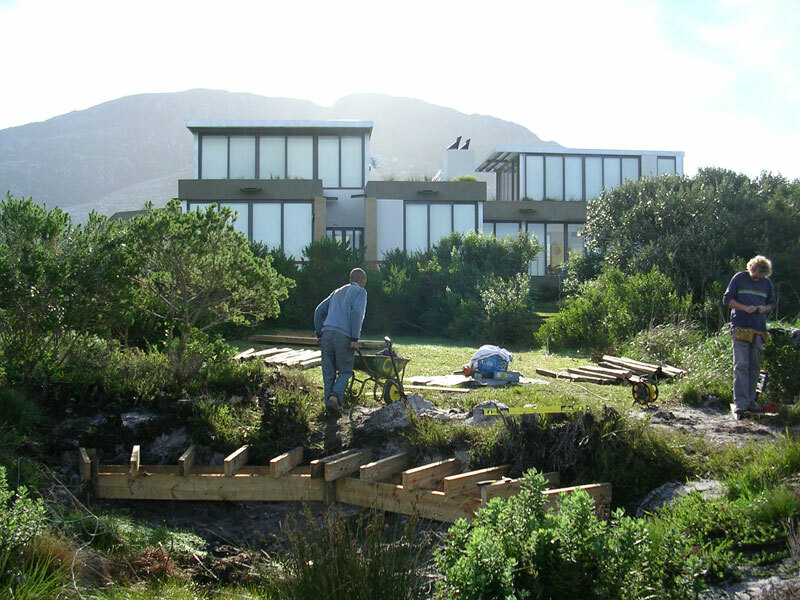 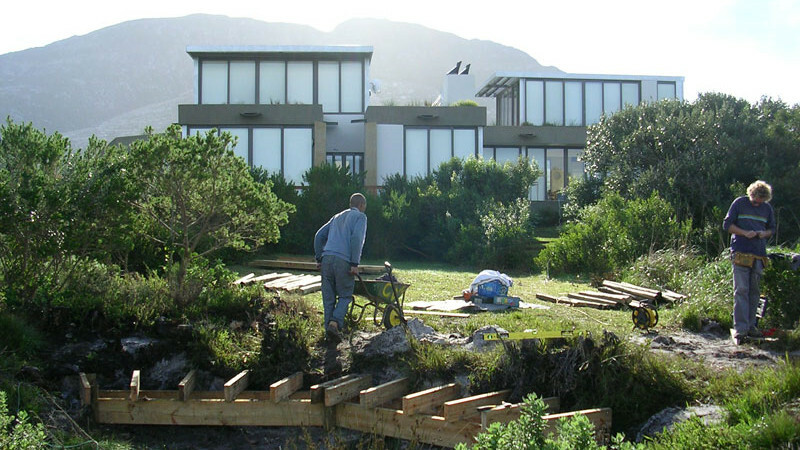 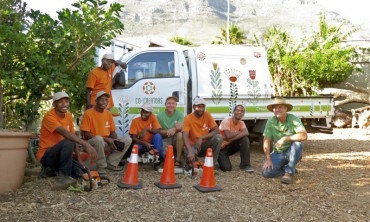 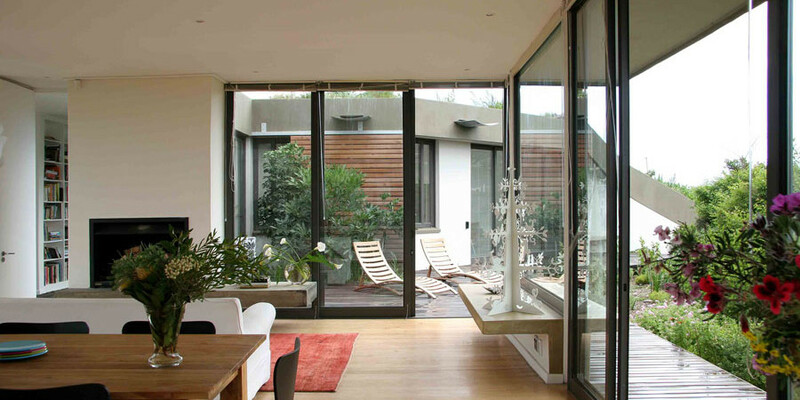 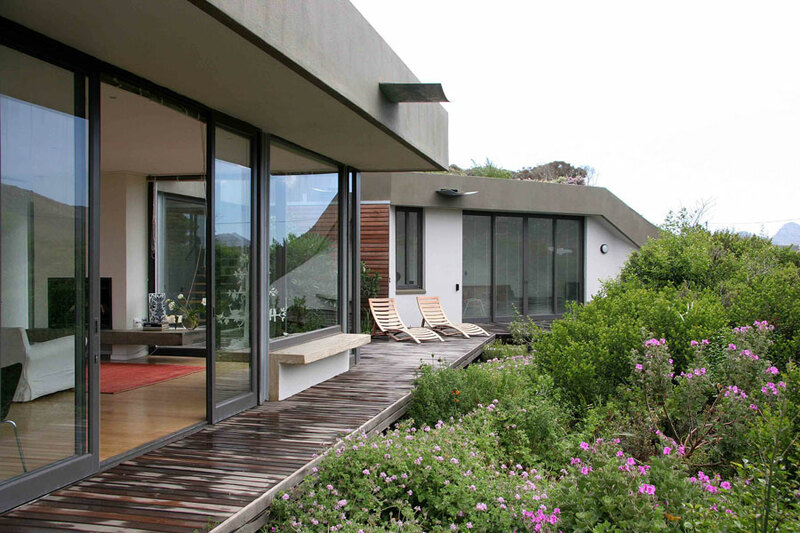 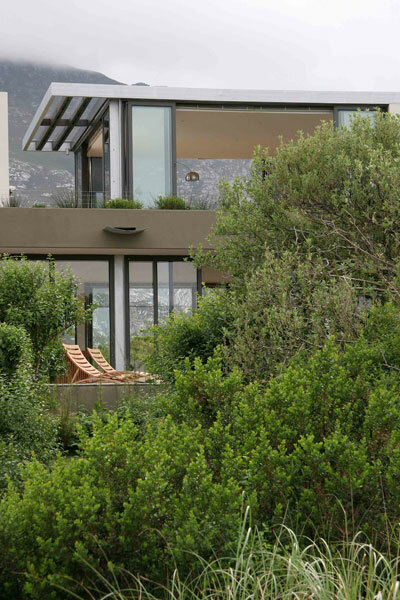 Due to our experience with roof gardens and Indigenous plants we were approached by Architect Sarah Calburn to work with her on this project in Betty’s Bay. 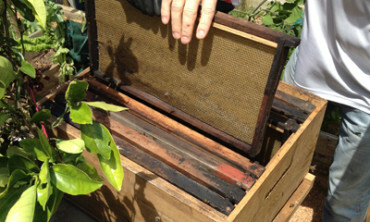 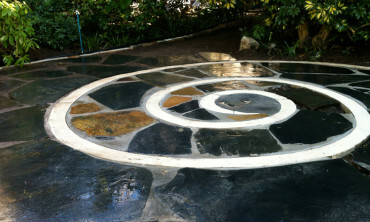 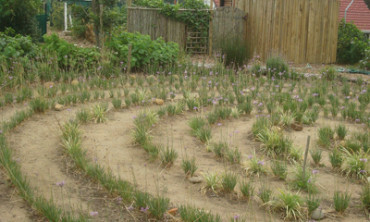 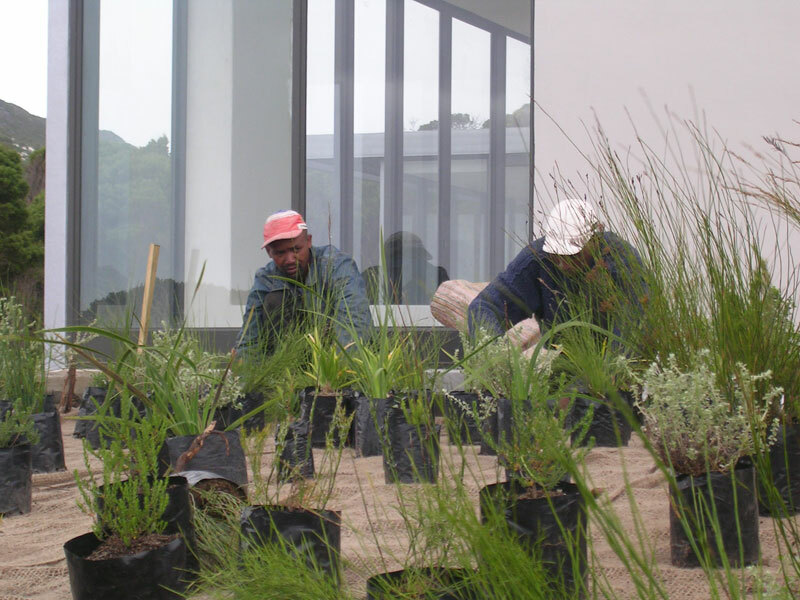 The Garden was designed by BeyerHonig Landscapes and installed by Co-creators, with Marijke Honig attending to the planting. 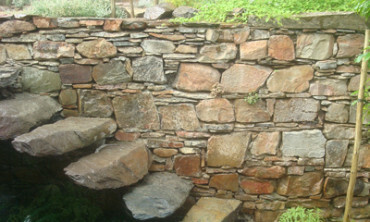 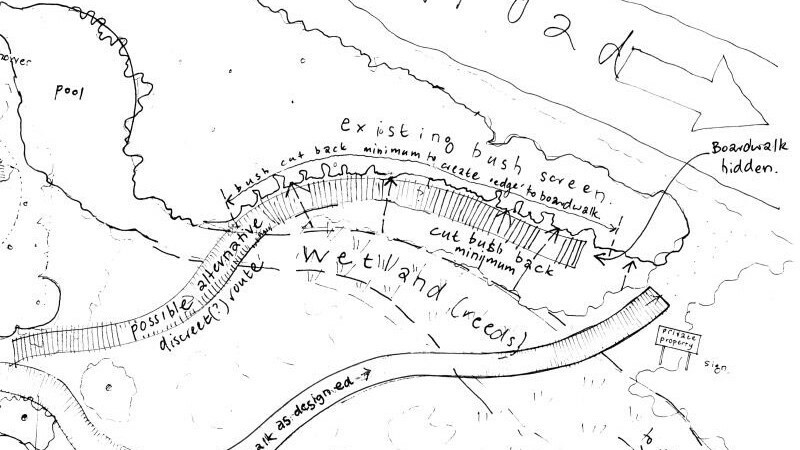 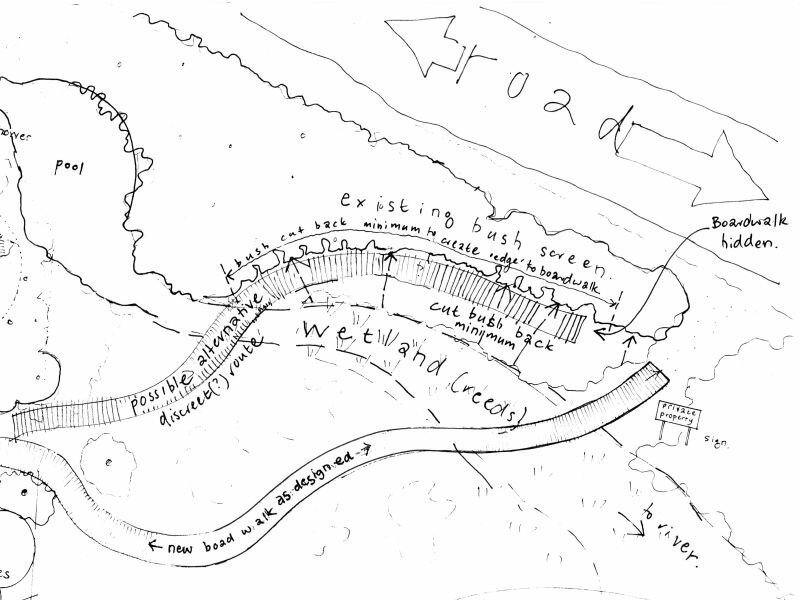 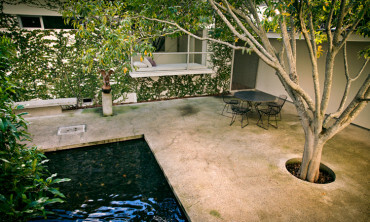 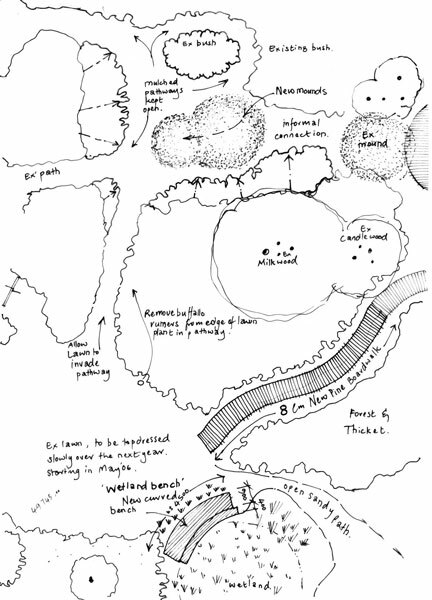 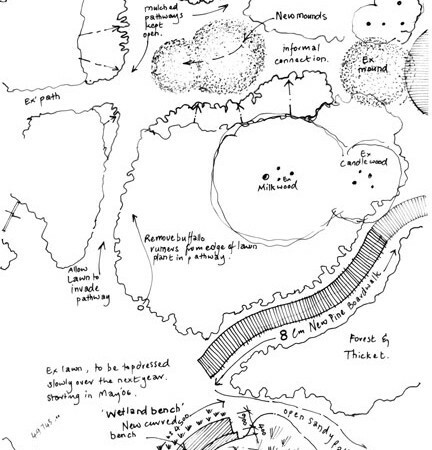 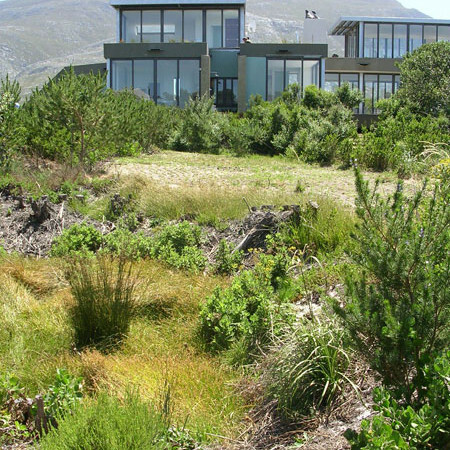 Bordering a wetland and surrounded by indigenous coastal thicket the challenge was to knit the landscape back together after the building operation and to provide opportunities to experience the landscape. 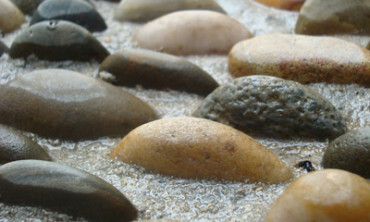 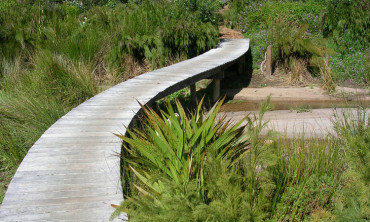 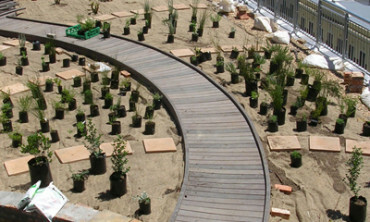 Beach access was created via a meandering boardwalk, and indigenous buffalo lawn, a shower deck and grass mounds provide balance and fun beyond the buildings edge. 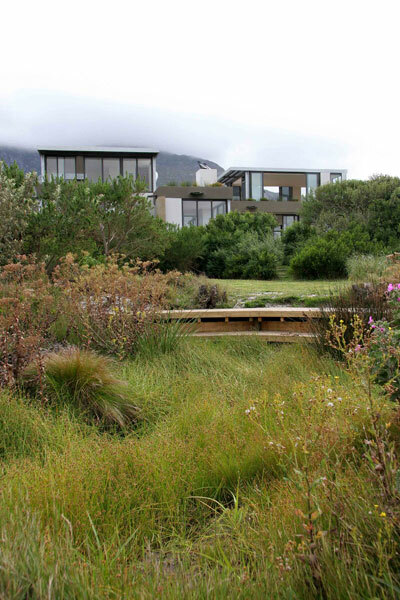 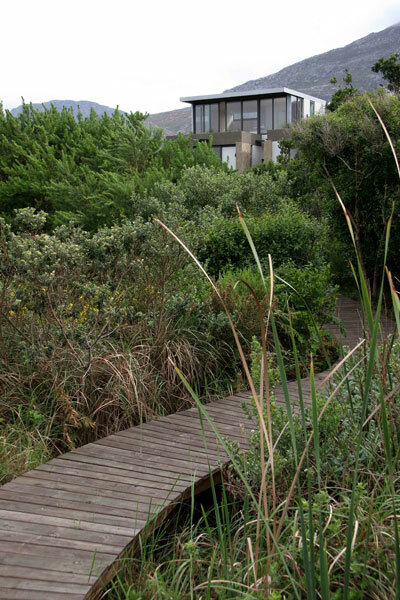 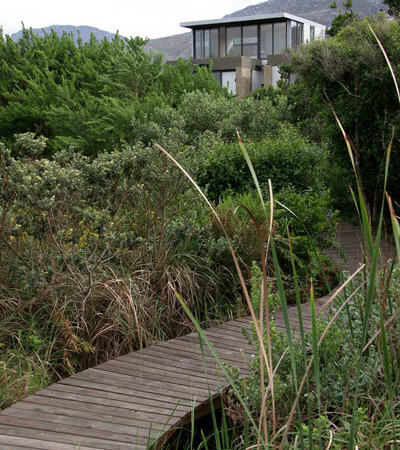 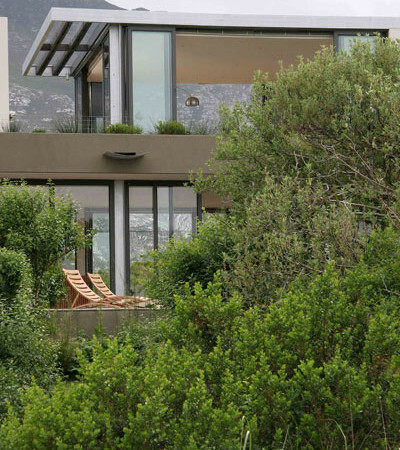 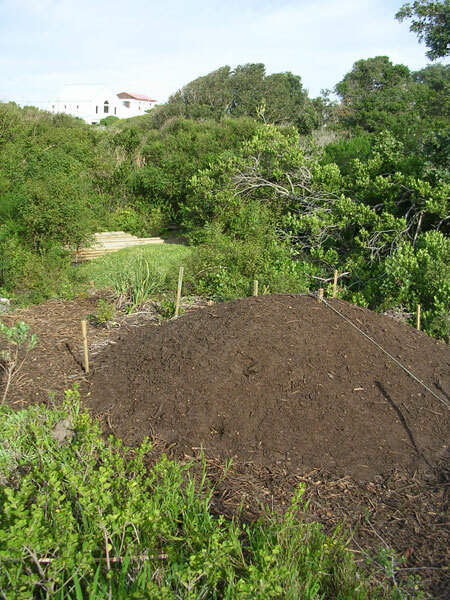 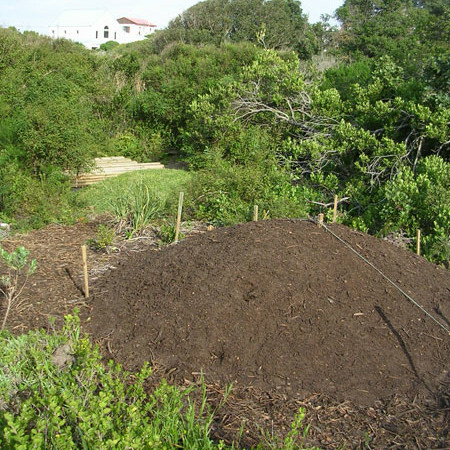 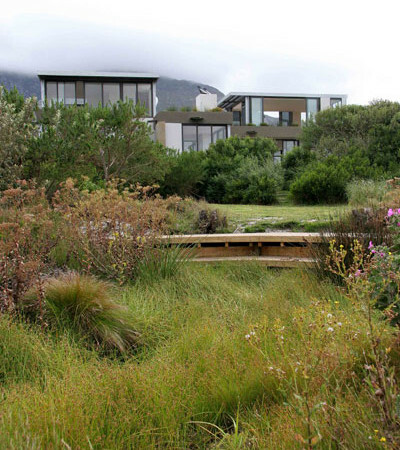 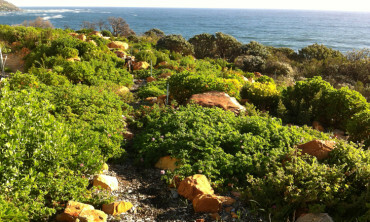 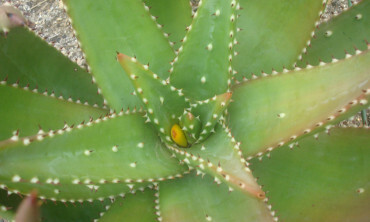 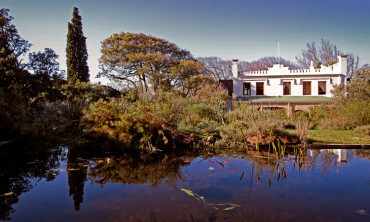 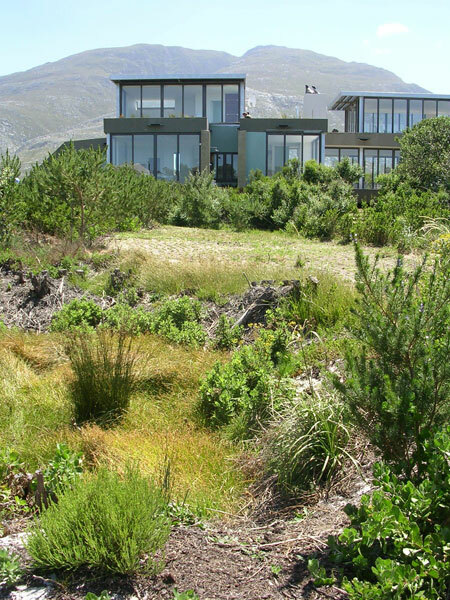 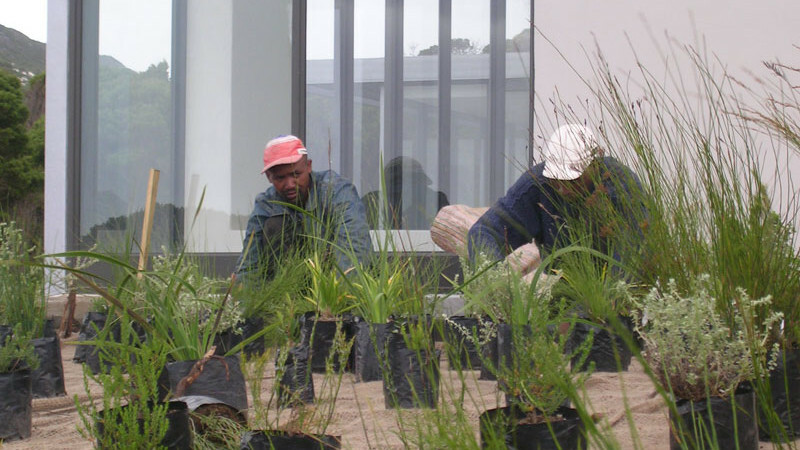 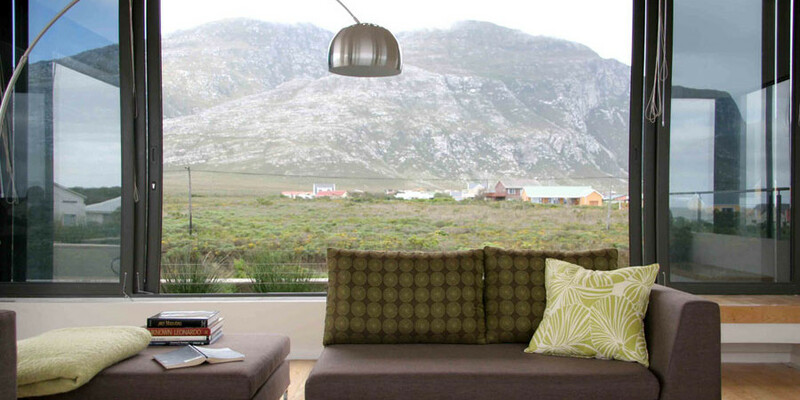 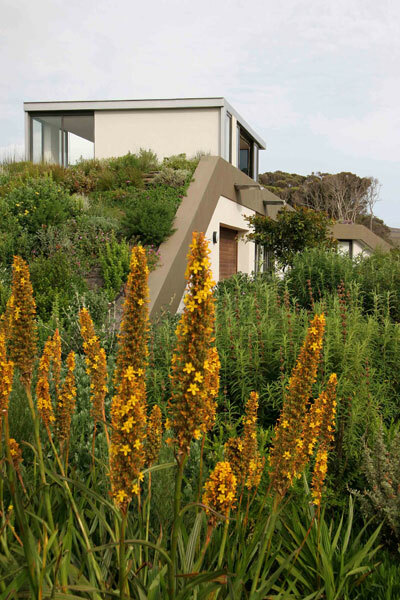 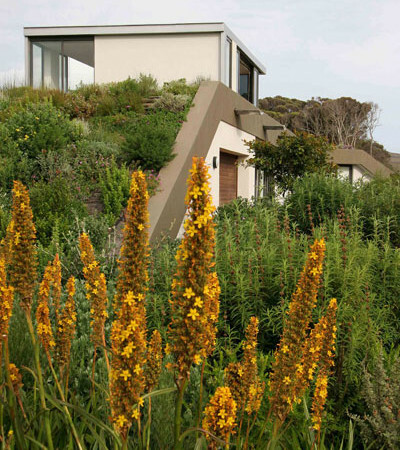 Fynbos is planted on the roof of the building, with coastal thicket ramping up the sides.